The party starts on Thursday. I got Club Penguin’s new magazine and it said that next month the magazine will be a sporty special. The magazines are for what ever party is come or going on. So that means the Sport Shop might come back next month! I am back and while I was out the blog got 100 more views. Also, I am going for a trip so don’t expect that many posts. The white penguin with the brown hair is me! I think I might make some for Club Penguin Wiki users. Card Jitsu Snow Sneak Peek Video! 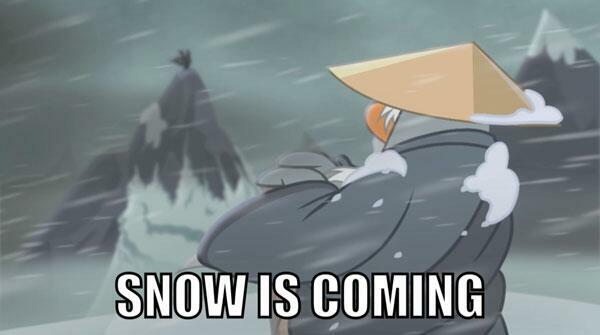 Card Jitsu Snow comes in two weeks. I like the new outfit that Club Penguin made. I would make the pic bigger, but if it gets bigger it will be in pixels (Pixels are like small squares that make pics and shapes if you did not know). Card Jitsu Fire and Water for Everyone! If you are a nonmember you could not play Card Jitsu Fire and Water, but Club Penguin now made it for nonmembers too! 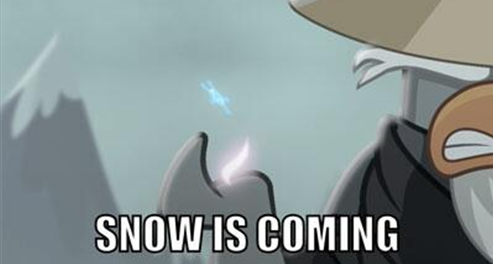 I still don’t know if Card Jitsu Snow will be for everyone. My Penguin App Now Out! The My Penguin app is now out! You can get items that you can only get by having the app! Club Penguin is working on making it for Android and for Iphones! Also you can have a snowball fight without having to getup and go to the computer. I don’t have it yet, but when I do get it this post will update with pics. When this game comes out, I hope it will give me a free card like in Card Jitsu Fire and Water. P.S. The pin track will not update this week because I think there is a new pin coming tomorrow.